At the heart of Hancock County is one thing: the community. The people who make up the community are unique and diverse in interests, backgrounds, and stories. Over the next few months we will be highlighting members of the community that you may see behind a shop counter, at an event, or in the grocery store and their stories. This month we will be featuring Larry Alter, secretary for the Hancock Sports Hall of Fame. In Christmas 1970, Larry Alter was working as a sports writer for his hometown newspaper in Huron, South Dakota when he received a Christmas card from a friend asking if he would be interested in joining the sports writing staff in Findlay, Ohio. Three weeks later Larry had packed up his belongings and traveled across the country, much to his family’s bemusement, to join the staff at what is now The Courier. He quickly gained traction at the paper and later that year was tapped to become Sports Editor, his first managerial job, at age 24. With plenty of on-the-job training Larry lead the way to bringing comprehensive sports coverage to the paper, including covering all the county schools as well as Findlay High School and the University of Findlay. From these years Larry can share plenty of stories, from his time traveling across the country for various tournaments and championship games with the University of Findlay, including to Hamburg, Germany with the UF Football team, to watching some of the best local talent thrive in high school and grow into the collegiate and, sometimes, professional world. But among those stories and highlights of a long career that is still going, Larry counts having a hand in founding the Hancock Sports Hall of Fame among those achievements. Larry came to Findlay in January of 1971 as a sports writer for the paper, and soon became the Sports Editor. The Hancock Sports Hall of Fame’s origin starts where many do – a pub. In the early 1980’s there was a pub next to the Blanchard River called Oiler Pub and it is where Larry and several of his staff writers would spend time each week. It was during one of these sessions that the owner of the pub, Tom Jeffire, challenged two of the sports writers, Dave Egbert and Dave Hanneman, to name the top athletes that came from or played in Hancock County. Together they named several athletes and Tom, who was from the Detroit area, was flabbergasted at the number of notable athletes they were able to easily name. Tom, who eventually became the Hall of Fame’s first president, believed there should be a way to honor them. The group agreed and Dave Egbert took the charge; he formed a state charter in 1983 and did much of the work to get the Hall of Fame started. The Hancock Sports Hall of Fame inducted their first class in 1985 and, as Larry puts it, started the great train robbery that it is today. Larry Alter is a wealth of athletic knowledge with stories upon stories of local sports lore. Over the years the Hall of Fame has inducted 197 individuals, including Larry, Dave Hanneman, and Dave Egbert and 28 teams. Larry has been involved since the beginning and became the Secretary in 1990, a role he has held since. Larry’s favorite part of the process is getting to know the inductees each year, especially after writing about them for so long. He enjoys getting to know the person behind the sport, including meeting their families. He says that year after year, no matter how long he has known an inductee, he always learns something new. The Hall of Fame has made tweaks year to year but has mostly stayed the same. The banquets have been scaled back since 1985 when Johnny Bench was the guest speaker and drew 490 attendees to a more intimate group with a set amount of tickets each year. The inductees are the draw, and by adding teams to be inducted each year since 1988, it allows for them to come together for a reunion of sorts. Although each class of inductees brings something interesting and fun to the table, one group that sticks out to Larry was the 1952 Cory-Rawson football team that went undefeated and unscored upon, which has happened only 11 times in Ohio High School football history – and two of those times by Cory-Rawson, Larry said seeing the 41 teammates come together and reunite for an honor that meant a lot to them was moving. Larry also recalls a sister of an inductee recently contacting him and asking him to send a photo of her brother’s display, which she used as her Christmas card photo. Another notable induction to Larry was when Dave Egbert was inducted in 1999, posthumously. Dave passed away, suddenly, in 1990. Larry credits Dave with taking the lead and doing much of the work to get the Hall of Fame started, and losing someone who he not only worked with every day at The Courier but also enjoyed spending time with as a friend was difficult and it was great to see him honored. The Hancock Sports Hall of Fame is located within Legends Steakhouse and Sports Bar. The walls are lined with memorabilia, placards with information on each inductee, and more sports history. Today, the Hancock Sports Hall of Fame has found a new home at Legends Steakhouse and Sports Bar, something that Larry is very proud of and excited about. Moving into Legends was a real collaboration, and the Hall of Fame is open to the public during the restaurant’s hours, even if they choose not to eat (although Larry really recommends that they do!). The walls are lined with plaques about the inductees, memorabilia, copies of headlines shouting Findlay and Hancock County teams’ achievements, and more. The Hall of Fame and Legends opened their doors in August and there is still more work to be done. Larry said he still has more memorabilia to get out of storage (which his wife, Carol, will be very glad about!) and he is excited about the possibility of doing “Meet the Legends” nights for inductees to sit, meet, and mingle with visitors and even more possibilities along those same lines. The Hancock Sports Hall of Fame is celebrating their 33rd induction on April 22. This year’s ceremony will honor Mike Dillon, Terry Grose, Kathy Lee Morris, Ben Roethlisberger, Carlee Roethlisberger, and Miranda Watt. The Hall of Fame features athletes, coaches, physicians and trainers, administrators, and journalists who were from or participated in Hancock County. Larry originally became interested in sports when helping his uncle, Milton, do statistics for the minor league baseball team located in his hometown and Larry met his wife when she worked in the Athletic Department at the University of Findlay as a secretary so it is no wonder that sports still play an important role in Larry’s life. Larry currently still works part time at The Courier as a sport writer and serves on the University of Findlay Hall of Fame committee, as well as keeping historical stats and information for the University football and basketball teams since the 1970’s. He still enjoys watching just about any sporting event, but especially those at the university. But he mostly enjoys watching his 5th grade grandson play basketball and baseball, which he says is just as entertaining as any game he has ever watched. His favorite thing to do in Hancock County, besides watch sports, is to eat – and with all the restaurants to choose from he has quite the selection -but, of course, his favorite place is Legend’s. January marked 46 years since Larry relocated to Findlay and in that time Findlay has truly become home. It is where he met his wife, where his daughter, Aymee, was born and raised, and where he made his adult life. Between his time at The Findlay Publishing Company as well with the local high schools and university, he loves the people who make up the community, and he has met many of them throughout his years on the athletic circuit. Luckily, Larry is more than willing to share his wealth of knowledge on every local sports story you can imagine, so if you see him out and about make sure you take the chance to pick his brain and learn more about Findlay’s athletic history. You can find Larry at different sporting events each week, dining at Legend’s Steakhouse and Sports Bar, as well as at the Hancock Sports Hall of Fame 33rd annual induction on April 22. Don’t miss out on other community members we have highlighted through the community spotlight series!  Also, enjoy the big game this weekend at one of the many great sports bars in Findlay and Hancock County, find out the best places to get a burger or pizza, check out one of these great places for live music, or take advantage of one of the many great events taking place!